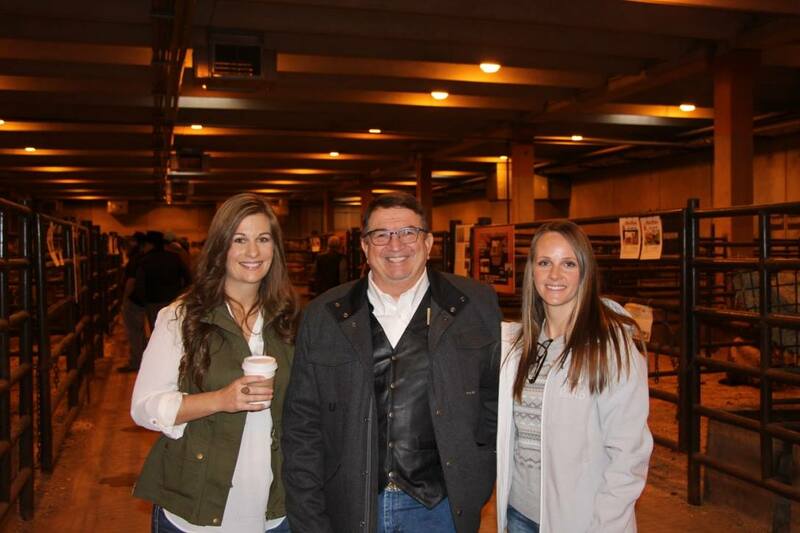 Hired Hands' Molly Clubb and Jaymie Feldmann with Sale Co-Chairman Keith Du Bose. Special thanks also to Russell E Fairchild, the other Sale Chairman. High seller was Lot #63 at $38,000. Only 1 other cow matched her criteria (bred, 80+" TTT, DOB w/in 1 year): Lot #34 at $6,800.